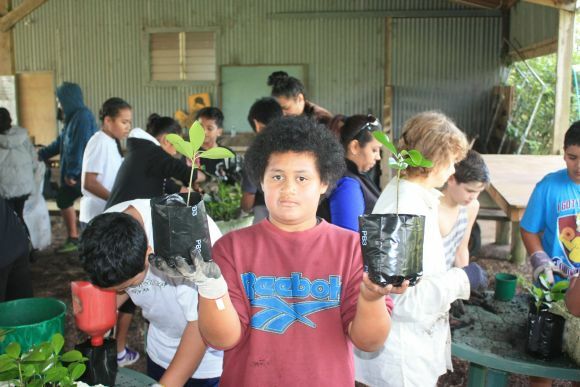 The Enviroschools Programme is a unique sustainability journey that over 950 early childhood education centres and schools in New Zealand are on. Through exploration and discovery, tamariki and students develop learning and language, care and creativity, relationships and responsibilities suited to their developmental stage. What emerges is a connection with nature and a sense of belonging to the environment and community. creating future leaders who understand how to make informed decisions and take action. To read more on the website, click here. So how has this taken shape at Otahuhu Intermediate? Students have been engaged in identifying areas where they can reduce the footprint of our school. We have been looking at ways of recycling and reusing and creating a school that is more sustainable. A big push this year has been reducing the amount of waste we produce and looking after our estuary that runs alongside the school. We are also investigating how to implement a Garden to Table programme so we can make further use of the gardens we have here at O.I.S. One of our greatest achievements was being the first Intermediate school in New Zealand to be awarded the EnviroSchool status. We were originally a WasteWise school and gradually moved up the ranks. From bronze through to silver, students and teachers worked tirelessly together to make positive environmental changes for our school. Just look at our amazing Peace Garden as one such example! We now hold the honour of being a GreenGold school. Our goal next year is graduating from the GreenGold status. This would put us in the top ranks of how environmentally responsible a school can be. The BIG VISION is that OIS will be as beautiful on the outside as it is on the inside.